GESUNCER is an International Technical Support team of specialists for complete manufactoring cycle. Our objective is to researching creative solutions, aiming at 100% client’s satisfaction. Searching and combining products, our chemical engineers and technicians are seeking the adapted combination to the local conditions and markets insuring the very best service and total customer satifaction. Chemical additives make an important contribution to the processing of different raw materials in order to achieve reproducible results and manufacture high quality products via the technical steps of preparation, shaping, glazing and decorating. 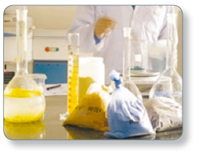 The requirements are high, therefore our range of additives is being continuously developed and optimized according to our customer’s requests.